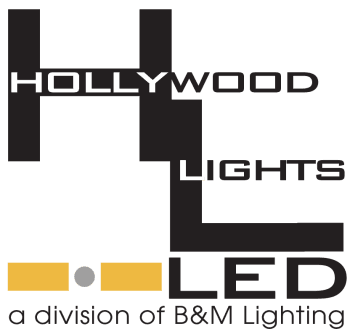 Our Patented CoLH Technology takes LED Lighting into the Future! Half the heat means twice the life and 30% more brightness. High CRI (93+) and high R9 value (93+) means perfect, balanced color with no green. Our LED Tubes and High Bay Lights use 50% less power consumption and are twice as bright as the competition. Heat is what degrades LEDs. Our patented CoLH technology allows our heat transfer rate to be exponentially faster than traditional, or even COB (chip on board) technology. CoLH is truly the future of LEDs. Our dimmable Tube Lighting with our patented CoLH technology is the perfect transition away from fluorescent Tubes. No more mercury, no more ballasts, and you save money three ways. First, you will be using half the wattage. Second, if you utilize their dimming capability you will use even less wattage. And lastly, you'll save on maintenance costs. Our High Bay Lights are second to none in output and color. At 35 feet high, our 120 watt High Bay puts out 25% more foot candles at the floor than a 400 watt Metal Halide, Sodium Vapor or Mercury Vapor High Bay Light. You really have to see these amazing lights to believe it! Our T5 Fixtures have the same output and color rendition as our tube lights, but in an incredibly simple fixture that attaches with two sheet metal screws and clamps. These fixtures are great for Cove or Case lighting because you can daisy chain them together for as long as the circuit will bare! Art Schools ● Print Shops ● Hospitals ● Hair Salons ● Fitness Centers ● Big Box Stores ● Restaurants ● Markets ● New Developments ● Libraries ● Film Stages ● Photography Studios ● Warehouses ● Classrooms ● Gyms ● Office Buildings ● Furniture Stores ● Car Dealerships…Just to name a few!